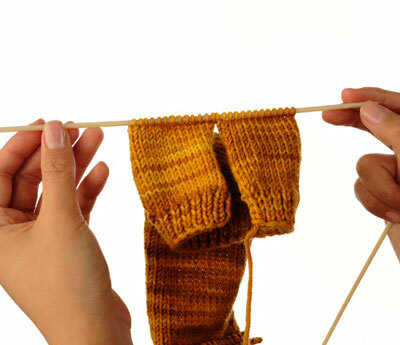 For a flat sock, you can use the gusset heel, or the short-row heel. Both of these heels are knit back and forth no matter how you construct the rest of the sock. Both heel types are shown here. 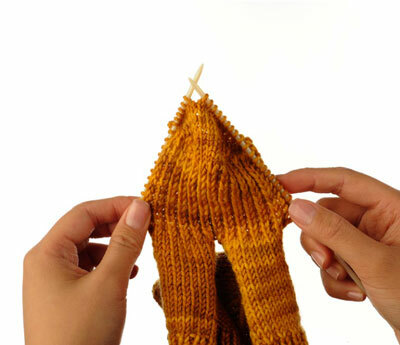 Return the held, unworked stitches at the bottom of the leg to the needles with the split in the center of the two halves. You will seam the back of the leg later. 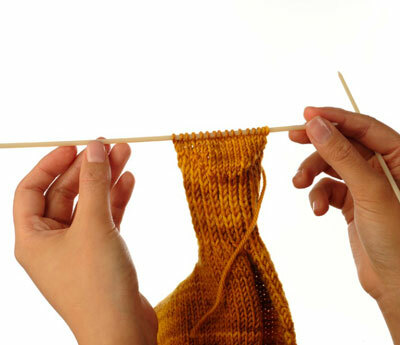 With the right side facing, join yarn and knit a heel. 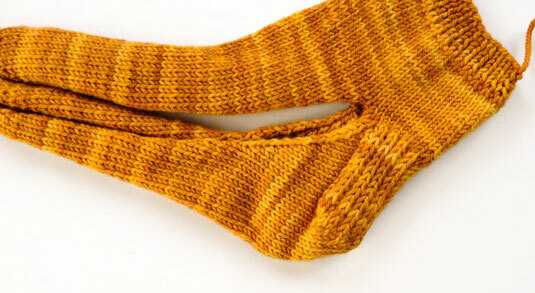 Work the heel turn at the bottom of the heel flap as specified in the top-down sock pattern. Cut the yarn, keeping the stitches on the needle. Rejoin yarn at the right edge, at the top of the heel flap with the right side facing. 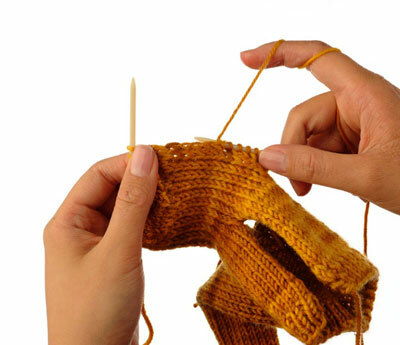 Pick up the required number of stitches from the side of the heel flap, knit the held stitches from the heel, and then continue to pick up stitches along the other side of the heel flap. Purl back across these stitches. 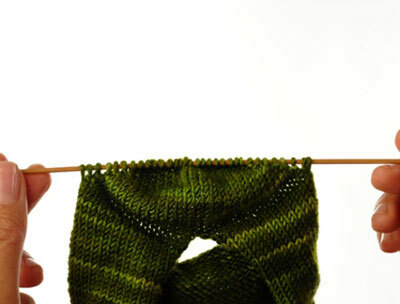 With the right side facing, join yarn and begin working short rows. 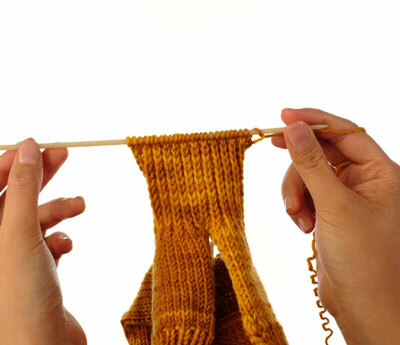 When picking up the wraps on the last pair of rows, simply turn the work and begin the next row after working the wraps together with the stitch—there is no following stitch to wrap.